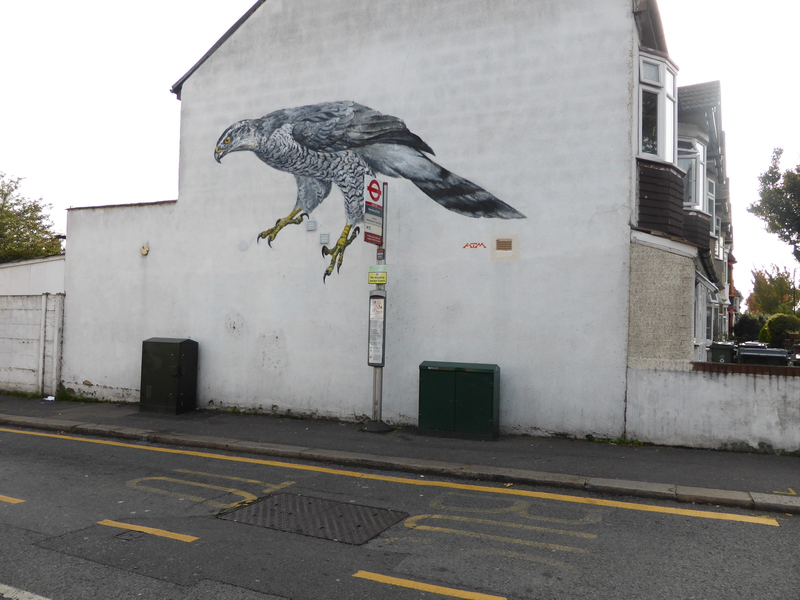 Last week over the course of three days, spanning Wednesday to Friday, Walthamstow received its newest piece of Street Art, with a superb piece by ATM. 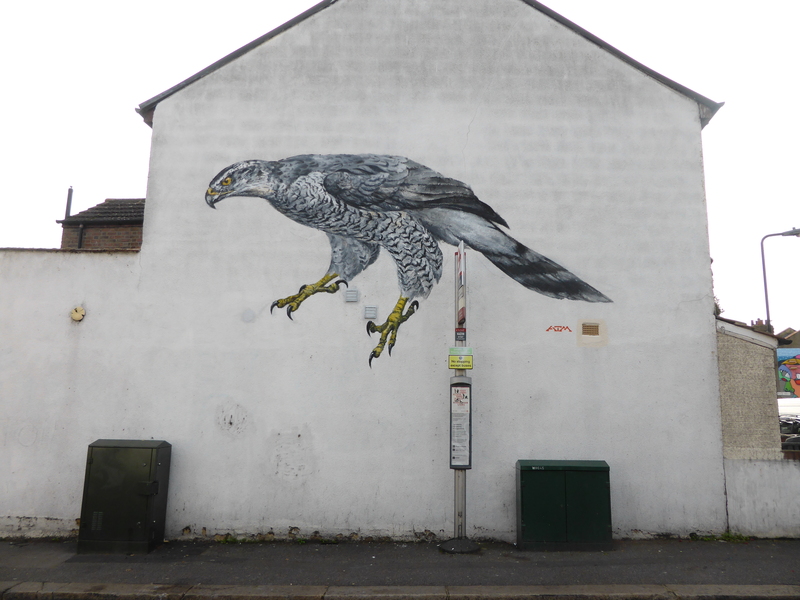 ATM’s work is perfect for the project under which this work was created as it not only brightens up the area with a superb piece of art, but with one that is socially conscious in its message. 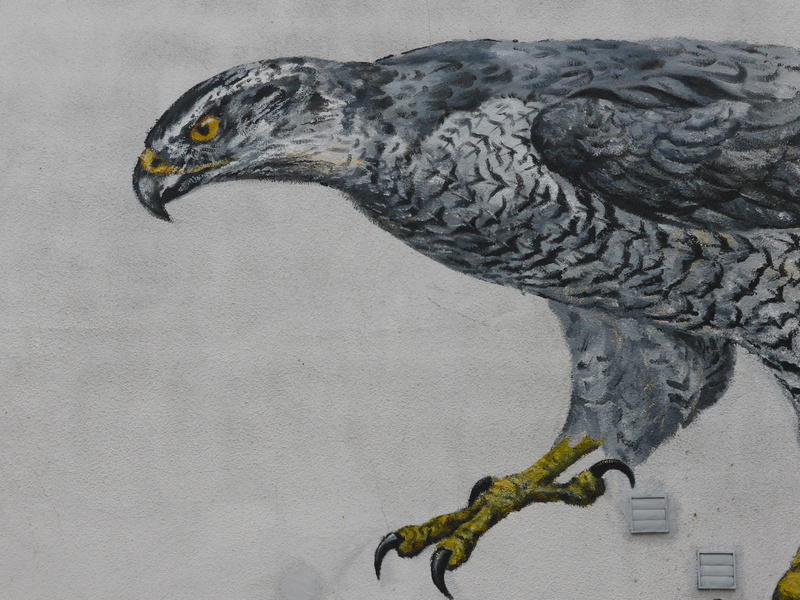 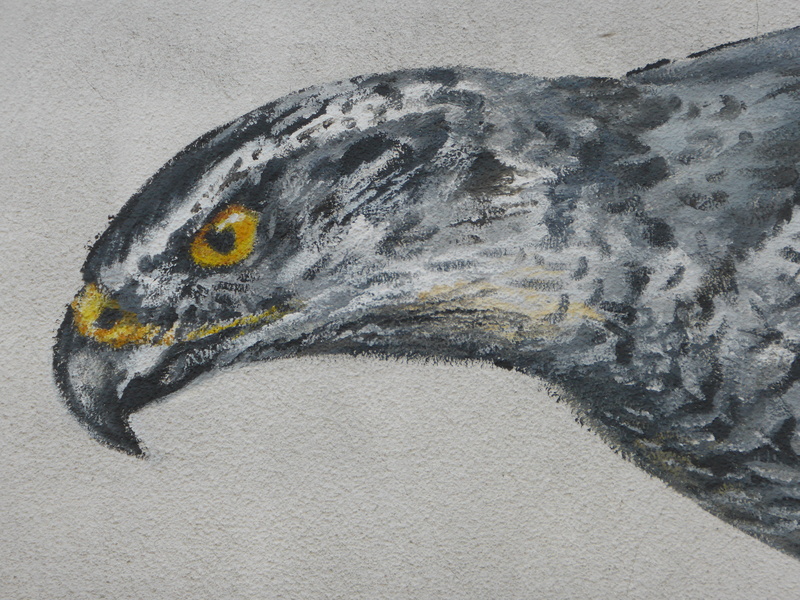 The piece depicts a larger than life Goshawk, which ATM spent some three days working on, painting by brush on the rather unforgiving pebbledash surface on which it resides. 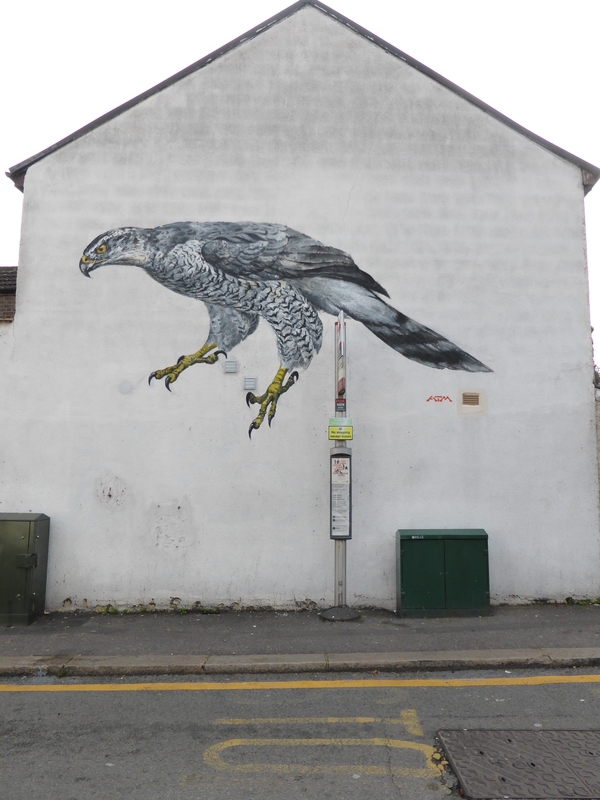 ATM is no stranger to painting large-scale depictions of birds, it’s exactly what he does, predominantly focusing on painting endangered and threatened species and placing them in urban environments, such as housing estates, illustrating that this is a problem people just live with. 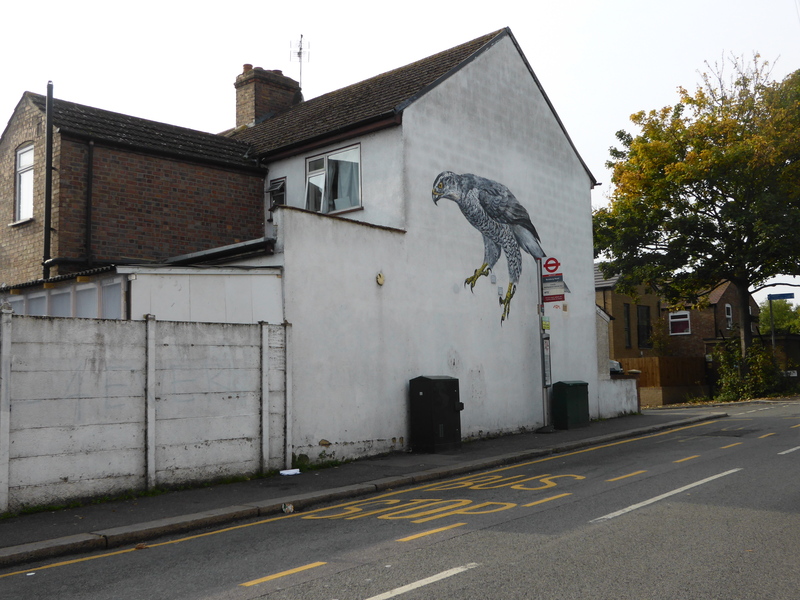 This stunning piece can be found along Coppermill Lane in E17 and is well worth the effort to hunt down, even if it is somewhat further out into East London than your average piece of Street Art around Shoreditch or Hackney. 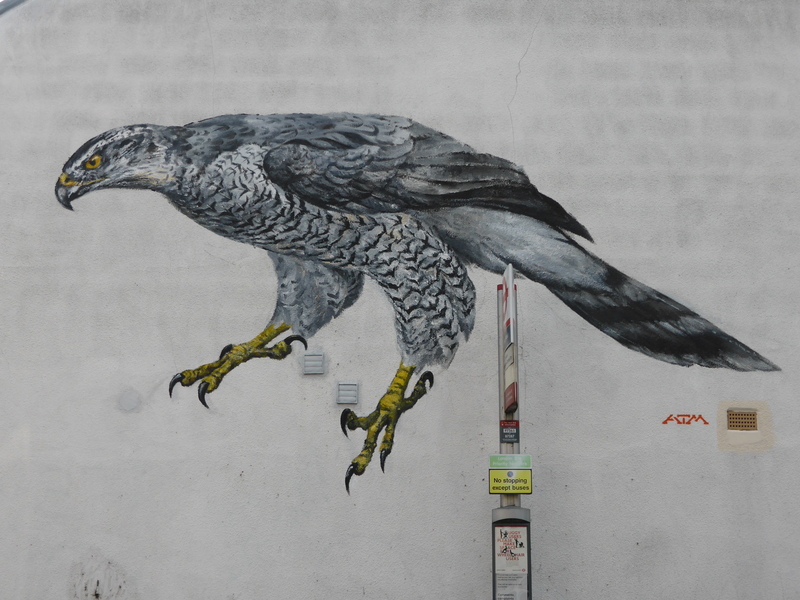 This wall was created as part of the ‘Colour The Capital’ project from the Forest Recycling Project, who are set to brighten up run down community spaces with a series of nine Street Art murals around East London. 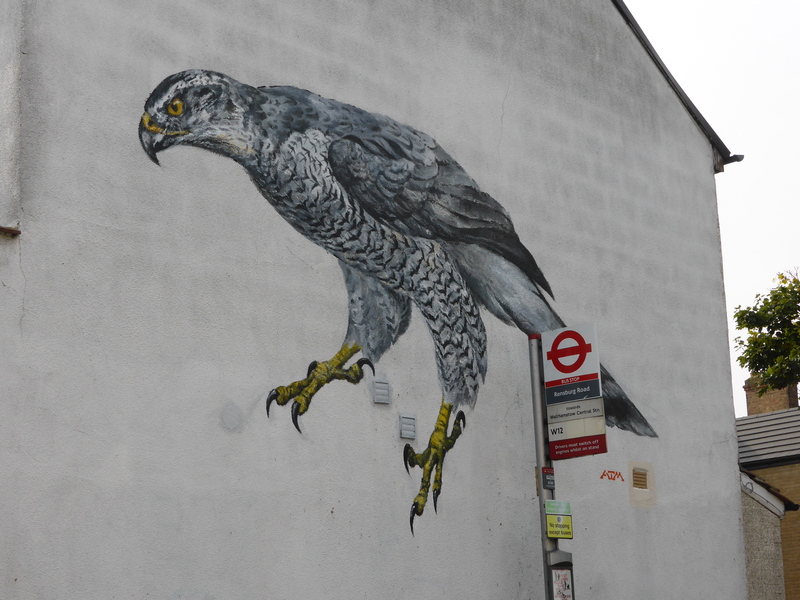 This is the seventh large scale mural in the project and we have caught a few so far with the first work being created in Dalston by Pixel Pancho (covered here), the second pair of works In Bethnal Green with a collaboration by SPZero76, Captain Kris, Squirl, Tony Boy & The Real Dill (covered here) alongside a mural by Brazilian trio Bailon, Sliks & Cranio and the fourth wall created by Hunto in Walthamstow (covered here).